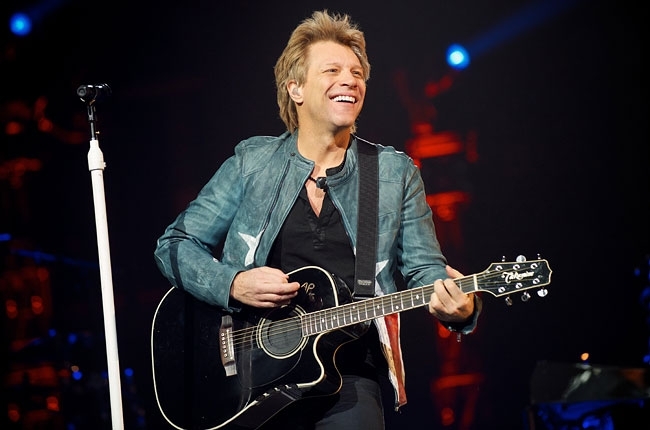 Bon Jovi comes to the Resch Center in Green Bay on October 22. The name of the tour is "Because We Can." When did Bon Jovi last play in Green Bay? This will be the band's first time in Titletown. Fans are excited to see this legendary group head north of the bigger cities in Wisconsin. After all, there are lots of fans all over Wisconsin. Tickets for the Green Bay Bon Jovi show are on sale September 16. The band's current tour started back in February of this year. The band crossed the country from east to west, with their last American show date at the HP Pavilion in San Jose. From there, the group played a pair of dates in South Africa. From there it was on to Europe, playing dates in Bulgaria, Germany, Sweden, Finland, and the UK. One of the biggest shows on the tour was their July 5 stop in London. They played in front of 20,000+ fans in Hyde Park. From there, it was back to the United States, where the band performed in stadiums, and a few large indoor venues. Rain or shine, the band played on. In comparison, the Resch Center is a small venue for such a huge group. There will be just under 10,000 seats available for the show, so they are going to move fast. Be advised that some seats might be "obstructed view" seats, so it's best to check with our staff at Ticket King for the best options. Floor seating will be assigned, with five sections and no elevation. Some of the best seating is just to the right and left of the stage, elevated.